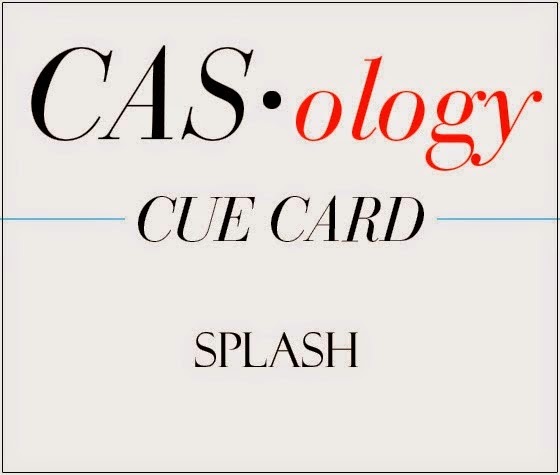 Time for this week's Cue Card at CASology! To build my scene for this card I combined stamps from four different sets! I knew what I wanted to achieve and actually it all started with the petals that I used as water splashes from Avery Elle Blossoms & Blooms. I had this set in mind for just that in the back of my mind for a long time now. Then because I have no idea what I have anymore, definitely way too much, I started going through my stamp collection. Thank you Jennifer McGuire for tuning us all in to how to store our sets! From there the bird bath came into the picture and then it was just choosing the right birdie and sentiment. Awwww that is just darling Tracey!! Love the little sequins!! Awww! This is adorable, Tracey! Love that sweet birdie splashin' in the bird bath! The look on the bird's face says it all - it's fun to splash! Great CAS card! Tracey, this is such a sweet card! Love that birdbath! 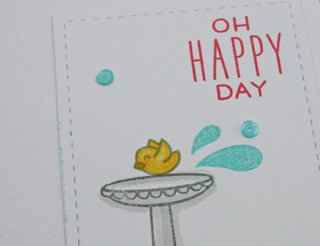 so totally cute and I love the splashes of water..
What a sweet scene, cute card!! Cute...just too darn cute! 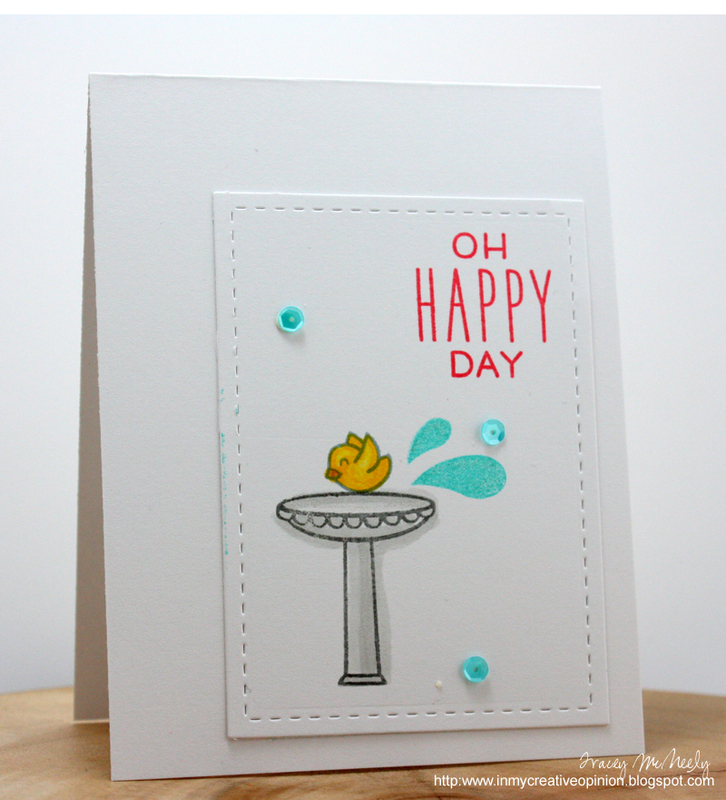 I love that adorable birdbath and those splashes and bit of sequins...so fun. Adorable to the ultimate, Tracy! The water splashes, in particular, are simply tooo cute and then the addition of sequins...WOW! Oh … How cute is this! Cute! Love your splash! Love it Tracey - looks just like my yard right now!! Our feathered friends are returning - yay! Absolutely adorable card, Tracey! Your little birdie is so darling, and I love your water bath and 'splashes'...Love your sentiment, too! 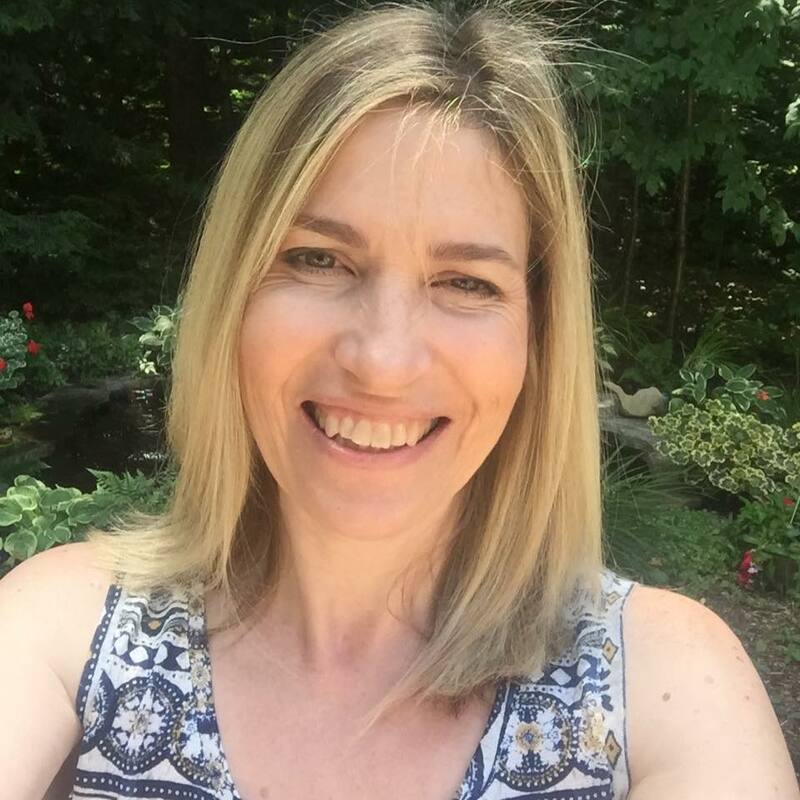 I can always count on amazing inspiration when I visit your blog...Thank you! Oh I love how adorable this is Tracey. Brilliant idea to use the petals for the splashes - they look great! And I'm with you, I can't remember what stamps I have anymore either! An embarrassment of riches! It is a happy day when I can watch the birds, either in a feeder or in the bath. Great card. Nothing attracts birds to our yard more than our small pond. Love watching them splashing and spraying water all around. Your adorable bird looks like he is having a truly 'happy' day!! Oh, just darling. I never would have thought of this, but I think I have a birdbath, too. Maybe even the same one? Love the little scene you created on that stitched rectangle. If you maybe have time my card is #30 on the CASology challenge, would be glad if you as DT member would like to see it and could leave me some love too...big hugs, Monika from Muenchen-Germany. Tracey, I love this red sentiment paired with the blue splashes and sequins...an adorable card!